Consolidating the experience of capacity building for maritime security in the Western Indian Ocean region is the core objective of SAFE SEAS. 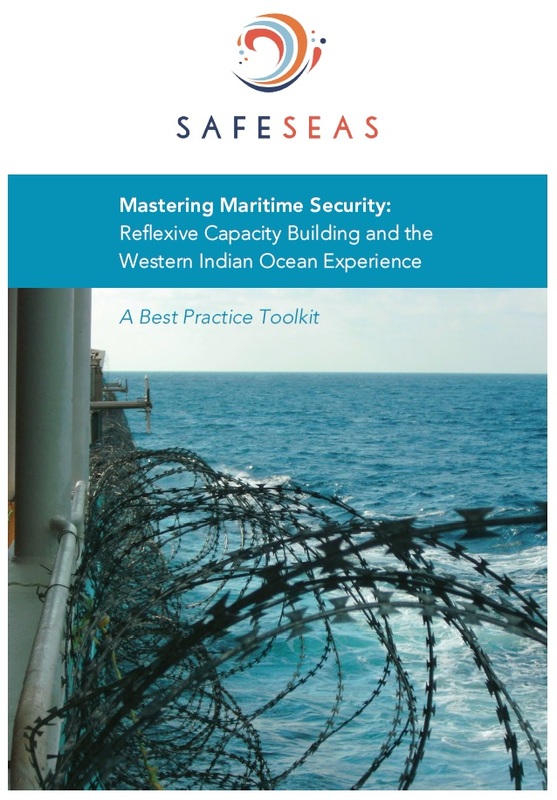 The result is a best practice toolkit titled “Mastering Maritime Security. Reflexive Capacity Building and the Experience of the Western Indian Ocean”. The full toolkit has been published in February 2018 and was launched at the SAFESEAS symposium. Download the full report here. Core lessons are also available in an abbreviate form in the news section. Tackling maritime security is one of the major global challenges today. Safeguarding international transport by sea, preventing accidents and disasters, fighting transnational organised crime such as piracy and the trafficking of narcotics and weapons, addressing fishery and other environmental crimes are vital for international security, realising the prospects of the blue economy and protecting ocean health. Maritime security is a global task. It requires effective maritime security governance at national and regional levels, and external capacity building to assist countries in developing their human, institutional and material capacities. Mastering maritime security requires reflexive capacity building. This report draws on the Western Indian Ocean experience to demonstrate what reflexivity means in practice and how it can lead to better, more efficient and more effective governance structures and reform projects. The report presents a toolkit for policy makers and practitioners involved in maritime security. It also provides an essential guide for the planning, programming and implementation of capacity building for maritime security. Maritime security is characterised by its complex and cross-cutting nature. It incorporates a wide range of security concerns, including traditional themes of geopolitics and naval competition; ‘new’ challenges such as piracy, smuggling, illegal migration, trafficking and fishery crimes; insecurity, conflict and state fragility in littoral regions and issues related to environmental protection and so-called blue growth. Maritime security practitioners need to adopt a holistic view of maritime security and understand the interlinkages between problems and the unintended consequences of responses. Context matters. Maritime security governance and capacity building in a country with a history of maritime engagement, stable government and strong institutions pose different challenges to conflict-afflicted, fragmented, or weak state environments. Differences militate against universalised and technocratic approaches to maritime capacity building and call for detailed, context-specific prioritisations and needs assessments tailored to a state or region. Legacies of seablindness can mean that revising maritime security policies and building capacity face uphill struggles when seeking political attention or resources. Capacity building is best steered and coordinated by receiving countries. External practitioners need to engage domestic actors substantively in programme formulation, planning, implementation and evaluation. Local ownership in capacity building is a key principle, but its meaning and the responsibilities it implies need to be negotiated through an on-going process of collaboration between domestic and international actors to achieve realistic and context-relevant outcomes. Maritime capacity building raises issues of ambition, sequencing and coordination. In practice, holistic conceptions of capacity building tend to work best at the level of strategic planning, functioning as an organising framework against which to develop specific, technically discreet activities aimed at specific components of the maritime security sector. Recognising the multiplicity of actors and projects involved in a given country is the first step towards mastering maritime security. Developing relations and sharing information between all actors involved is the second. Transparency about activities is the pre-condition for coordination. Some duplication and competition is likely to be inevitable. The reflexive practitioner embraces complexity and recognises that divergent organizational interests, institutional logics and professional perspectives cannot be coordinated away. Instead of hiding such differences, coordination work benefits from making them explicit.